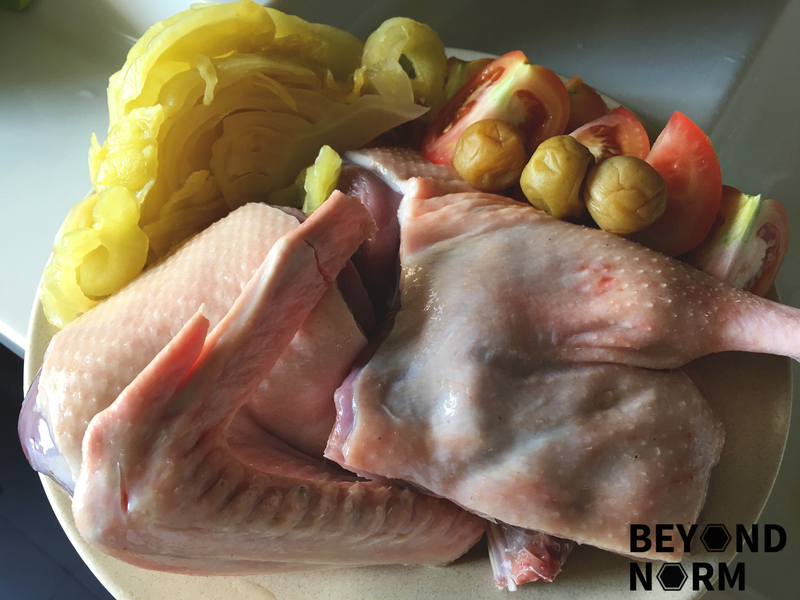 In Teochew, Salted Mustard Greens/Salted Vegetables is Kiam Chye and Duck is Ark. 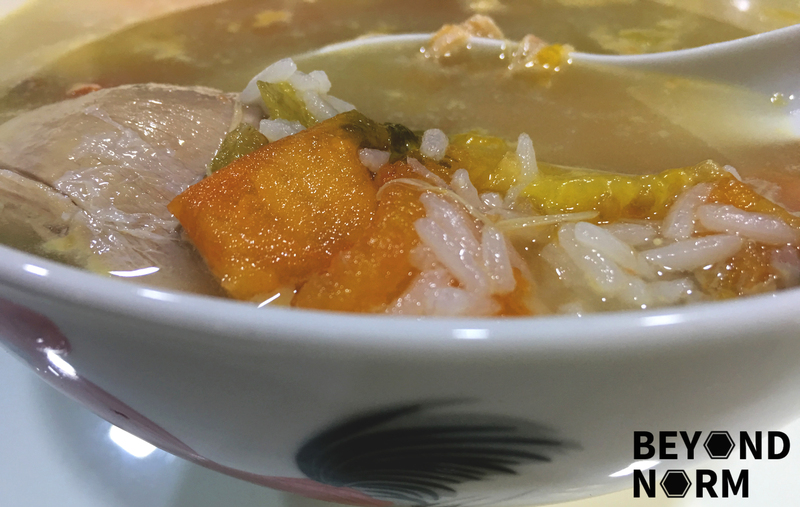 This is how the name of soup, “Kiam Chye Ark”, is derived. Based on my memory of how my Mum will cook it, she used only 4 main ingredients; duck, salted mustard greens, pickled plums and tomatoes. This soup is simple and easy to make and I am sure you will love it too! 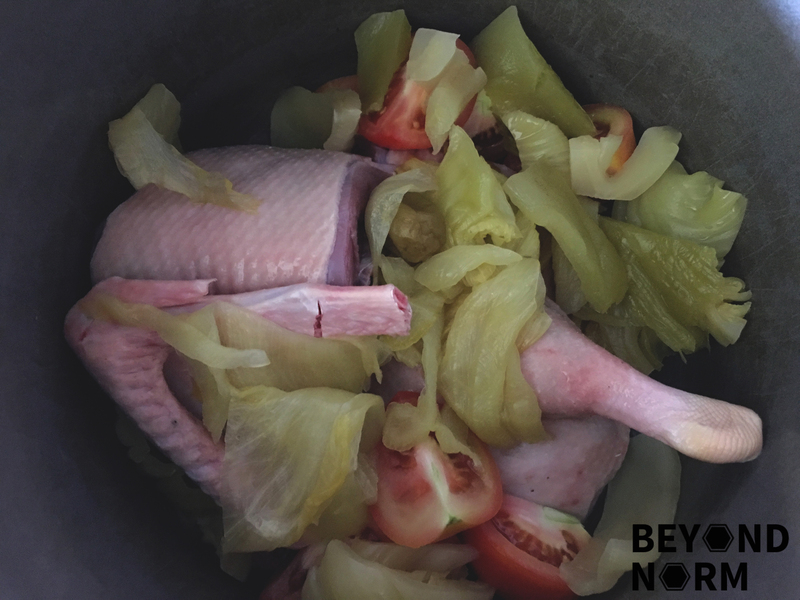 Cut the duck into ½.
Rinse and clean duck thoroughly. Transfer into a stock pot. Wash mustard greens and soak for 5 minutes. Drain and cut them into pieces and add them into the pot. Lightly crush the pickled plums and add them into the pot. Wash and cut each tomato into 4 wedges and add them into the pot. Add water into the pot and bring it to a boil. 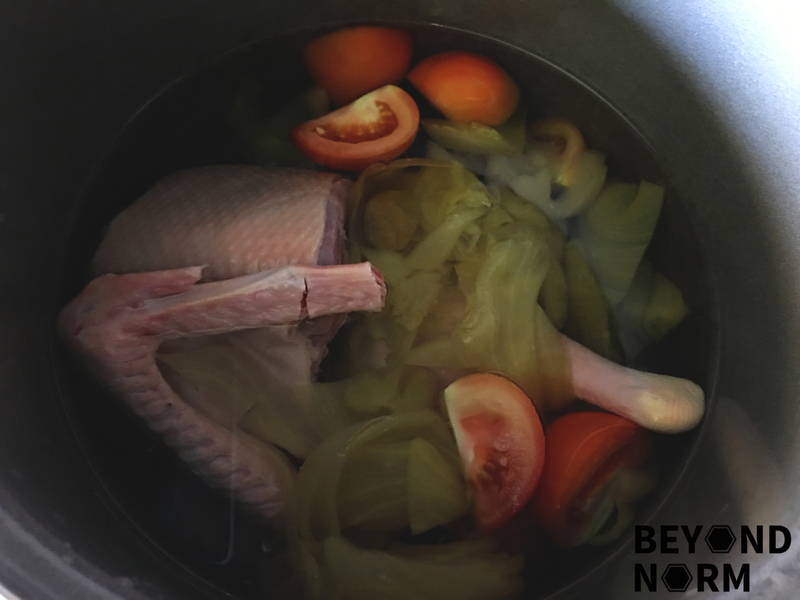 Reduce heat to low and simmer for 1 hour or until the duck is tender. Remove any excess fat by skimming the surface of the soup with a spoon. Before serving taste and add salt if necessary. Garnish with chopped coriander leaves and spring onions. Sprinkle some white pepper if you are adding. what is salted mustard greens? Do you just salt them to remove bitterness or is it a prepared ingredient I have to purchase?